As a Central Coast web designer, I have been involved in the digital space since 2004, in this time I have helped hundreds of Central Coast small businesses with the products, services, resources and tools I use for design, development, marketing and management of websites. Time is of the essence and I know the importance of having the right information at your fingertips. I have created a list of my favourite products and services that I use either daily or on a project basis. Just a heads up that seeing as I use these products so much, I use affiliate links when available – which means I may receive a commission if you sign up or purchase something – I can assure you that everything listed on this page is because I use the product or service regularly and find it to be a valuable asset to my business. I know you will find value in everything listed too. I do my best to keep the list of resources as updated as possible – when I either find new great products and services or change my mind on something for whatever reason. I definitely recommend bookmarking this page for future reference. I host all of my WordPress websites with WP Engine, they are by far the most reliable website host I have used for any project. Read the full article on WP Engine. I use Go Daddy to purchase new domain names and manage my domain name portfolio. Expired Domains provides information about expired domain names. I use this service to get ideas for new domain names. I can do a search to see thousands of domains that have recently expired and are available for purchase. GSuite gives you a professional custom email (you@yourbusiness.com.au), allows you to access documents in the cloud with over 30GB of storage and helps you to work faster from anywhere and from any device. Use code 669W3RD94GGDPL6 to get get 20% off your first year for Basic plan. Use code 3A9RPG3ACD7NYUF to get get 20% off your first year for Business plan. 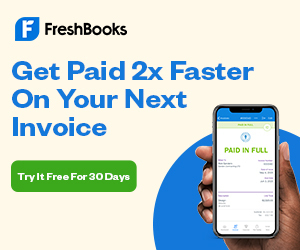 FreshBooks is a cloud based accounting solution perfect for small business owners. Trello is a fantastic project management tool that has everything I need to manage projects without all the complication found in other services. It’s as simple as creating a list for a project and then cards are created for each new task to be completed. Slack is a communication application that allows you to easily create different channels, add fellow colleagues and discuss projects. ThemeForest is part of Envato Market. At ThemeForest you can buy WordPress themes as well as other digital design resources such as email marketing templates and UI designs. Elegant Themes is based on a subscription model gives you access to all 87 of their WordPress themes and plugins. Sign up for a yearly subscription or a lifetime membership. The most comprehensive Search Engine Optimisation (SEO) plugin available for WordPress users. The website has some great tutorials on how to optimise your website to achieve optimal results. WooCommerce is a free eCommerce plugin that allows you to sell anything, beautifully. Built to integrate seamlessly with WordPress. It has a variety of premium plugins to add functionality to your online shop. I currently use WooCommerce on my Typeyeah and Aussie Mineral Hub projects. Gravity Forms is the easiest tool to create advanced forms for your WordPress website. Google Search Console (formerly known as Google Webmaster Tools) allows webmasters to check indexing status and optimise visibility of their websites. Broken Link Checker is an online website validator / integrity checker / problem detection tool that can check your web pages for broken / dead links, validate, find, and report bad hyperlinks if any found. Hotjar is a powerful tool that reveals the online behaviour and voice of your users. By combining both A) Analysis and B) Feedback tools, Hotjar gives you the ‘big picture’ of how to improve your site’s user experience and performance/conversion rates. Hotjar offer a free account that allows you to create 3 heatmaps. Optimizely makes building and running A/B and multivariate experiments fast and easy, which enables you to run more tests and optimise your site with ease. GTmetrix is a free tool that analyzes your page’s speed performance. Using PageSpeed and YSlow, GTmetrix generates scores for your pages and offers actionable recommendations on how to fix them. Custom, high-quality content and article writing services are a key factor in the success or failure of a website. TextBroker make it easy to find freelance authors to write anything you need for your next content project. Grammarly is the world’s most accurate grammar checker. Trusted by students, professional writers, business people, bloggers, and people who just want to write better. This is a must use for anyone writing regular blog posts and website content. Copyscape provides a free plagiarism checker for finding copies of your web pages online. They also offer a premium paid service. Particularly handy if you are using a content writing service for your blog posts so you can check if they have been copied from someone else. On Upwork, you’ll find a range of top talent, from programmers to designers, writers, customer support reps, virtual assistants and more all ready to service your requirements. Envato Studio is a freelance platform for designers, developers, and creatives. This is where small businesses are able to find an expert to collaborate with on a particular project and get the results they wanted. Freelancers in the platform are hand-picked, so businesses can rest assured they are to work with individuals who are truly passionate about their work and are excellently skilled in the service they offer. Fiverr is a global online marketplace offering tasks and services, beginning at a cost of $5 per job performed, from which it gets its name. From custom logo designs to creative writing as well as explainer videos, you’re sure to find some real gems. Photoshop is Adobe’s photo editing, image creation and graphic design software. Photoshop is now cloud based available in the Creative Cloud suite. It gives you the entire collection of Adobe desktop and mobile apps, from essentials like Photoshop CC to next-generation tools like Adobe XD CC. Sketch is a digital design app for Mac. I have been using this a lot more lately for User Interface design (UI), mobile, web and even icon design. If you’ve been using Photoshop for these things, then you should know that Sketch is a very capable replacement. Being vector-based means that every shape you draw can be resized to any dimension without losing sharpness. So your designs will look great, even on a retina or very high DPI screen. It also has a tonne of plugins that makes life easier to sync with apps like Invision. Design better, faster, together. Invision is the digital product design platform powering the world’s best user experiences. It allows me to quickly create working prototypes using my Sketch designs for new features that I can share with the team. Graphics, illustrations, logo templates, icons, fonts, themes, photos and more! Creative Market is a platform for digital design content from independent creatives around the world. Logo templates, patterns, illustrations, product mockups and even themes and fonts. Members get 6 free goods each week! Design Cuts offer quality design resources such as fonts, graphics, textures, patterns, templates and more. The design bundles are just too good not to get! Save up to 50-99% on the best design assets. Some of the best design resources I have come from Design Cuts. The Hungry JPEG offer users thousand of premium graphic design resources available for instant download. They generally do a monthly graphic design bundles full of awesome design assets and have heaps of useful fonts. Deposit Photos is another source for inexpensive stock images. They have been around for years and have a vast selection of photos and vectors for just about any use. With prices as low as $1 an image, you can’t go wrong. StoryBlocks is a great, inexpensive stock photography site. Their catalogue of images is growing every week and I’m loving the selections. You’re able to download as many images as you like with one low yearly subscription. Formally known as iStockPhoto, it’s one of the leading sources for quality stock photography, illustrations and images on the internet. I’ve used iStockPhoto for many years on a project basis. I absolutely love Skillshare! I have learned so much in so little time from a range of different courses. Skillshare is an online learning community with thousands of classes in design, business, tech, and more. Anyone can join the millions of members in the community to learn cutting-edge skills, network with peers and discover new opportunities. After 13 years, I feel I am now proficient using Illustrator, all thanks to the talented teachers on Skillshare! At just over $100 a year to access all of the courses, I find it great value. Anyone who uses this link to register will score 2 months free! Udemy is another platform that continues to teach me a lot in the digital marketing space. It is a global marketplace for learning and teaching online where students are mastering new skills and achieving their goals by learning from an extensive library of over 65,000 courses taught by expert instructors. Although you pay per course on this platform, by taking the course, you get lifetime access and most teachers update their courses with revised info every so often.